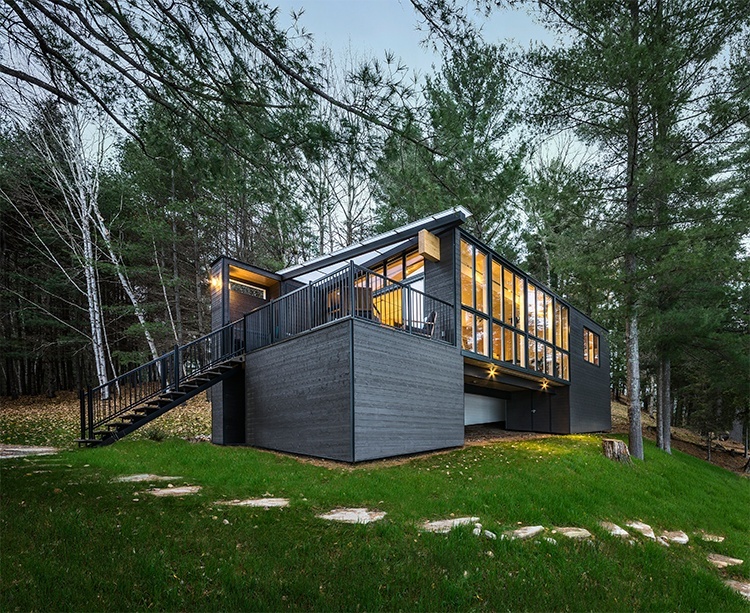 Built on the site of an earlier family cottage, the new cottage is prefabricated using mass timber (cross-laminated timber) and steel components. Prefabrication was preferred, given the remote location of the site, to reduce labour costs and speed up construction. Foundations are helical steel piers, with glued-laminated timber and CLT for the rest of the structure. The main structure was assembled in less than two days.